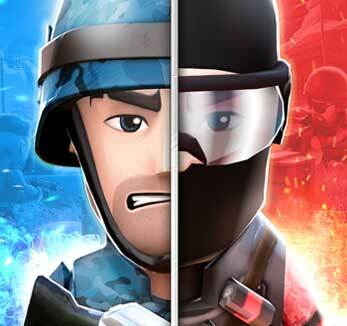 Invasion: The skill, loyalty, and courage of your squad will be put to the test. Come together and join forces in battle against the Invader in order to prEove your squad’s power. Unite to fight together and receive glorious rewards. Squad Improvements: Let’s keep the Squad game fair. We’ve been working to improve squad-related activities to prevent undesired practices such as squad-hopping, or kicking players right before the end of Squad Wars. Starting Friday November 16th, Squad Points gained by members will no longer be retained by the squad in case of said members leaving or getting kicked, and if player leaves squad during Squad War, their Squad Points amount goes back to zero. Additionally, Veterans no longer have the option of kicking players from squads. Elite Spider Bot: Threatening enough as it is, Elite Spider Bot’s Elite Perk will increase the movement speed of all friendly shooters on the battlefield. Events: Get ready for awesome event assignments and challenges in themed events this season. Enjoy Thanksgiving with a bunch of new cosmetic items. Thanks for your love, WarFriends!